1.2 What are the milk components? 1.3 How does milk affect the human body? 1.5 How to preserve milk? 1.6 Is cow’s milk suitable for babies? 1.7 How much milk should you drink each day? Milk is an opaque white, slightly sweet taste liquid, secreted by the mammary glands of female mammals for feeding a new baby. In case of speaking a non cow milk, we must include the name of the animal from which it proceeds to differentiate them. Apart from cow mill, no other name can refer to milk. This is the case, for example, of the so-called “soy milk” which is an incorrect term. To refer to this food in a proper manner, we should call it “soy drink”. All these functions are provided to young mammals during the first months of life, as they exclusively feed during this period of time with milk from their mothers. The origins of milk consumption goes back to 11,000 years ago, when humans began to be nomadic herders and get this food from their animals. Sheep and goats were the first milked animals, Some years later, cow’s milk consumption was introduced and some derivatives of this food were obtained from fermenting milk. What are the milk components? – Human milk or breast milk: this is the one that gives us the highest carbohydrate level and water. On the other hand, it has the lowest levels in protein casein. – Goats milk: It is the type of milk that provides the least amount of carbohydrates and albumin-like proteins, but it has medium levels of other nutrients. – Cows milk has the same levels of milk proteins and albumin as goat type. It has medium levels of other nutrients. 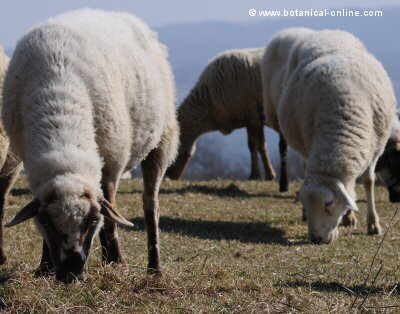 – Sheep milk is what gives us the most calories, protein, casein and fat type, compared with others, because its water content is the smallest of them all. – Donkey’s milk or Asses’s milk contains the highest amount of albumin-like protein with the least calories because of its shortest fat content. How does milk affect the human body? Milk is the most complete food. It provides all necessary nutrients (only deficient in vitamin C, iron and fiber). Well suited for tissue recovery in no digestive surgery, serious injuries and trauma or bone fractures. Milk is the raw material to produce numerous dairy products like butter, cheese, yogurt, cream, milk or kefir, among others. It is also very common to use it for derivatives in the food, chemical and pharmaceutical industries. 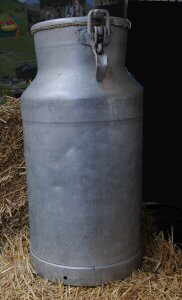 Cow’s milk is also used sometimes in animal food. 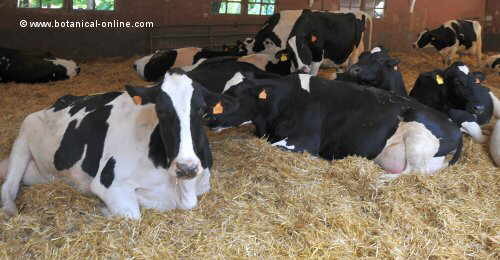 In addition, we must consider that there are many types of milk, according to their water content or fat content. We speak of whole milk, skimmed milk, etc. Fresh milk is obtained by milking cows, so it can be easily contaminated by pathogens. Only certified raw milk can be considered as healthy, although it still contains many organism that can be harmful in certain situations. To preserve milk we use different techniques to make the different kinds of milk, such as skimmed milk, condensed milk, powdered milk, etc. Is cow’s milk suitable for babies? At 4-6 months after exclusive feeding from breast milk or starting bottle milk, you can start introducing new foods, always with breast milk or bottle milk. How much milk should you drink each day? It is recommended to drink from 2 to 4 servings a day to get to meet the needs of 1000mg Ca daily. More information on milk in the listing above.